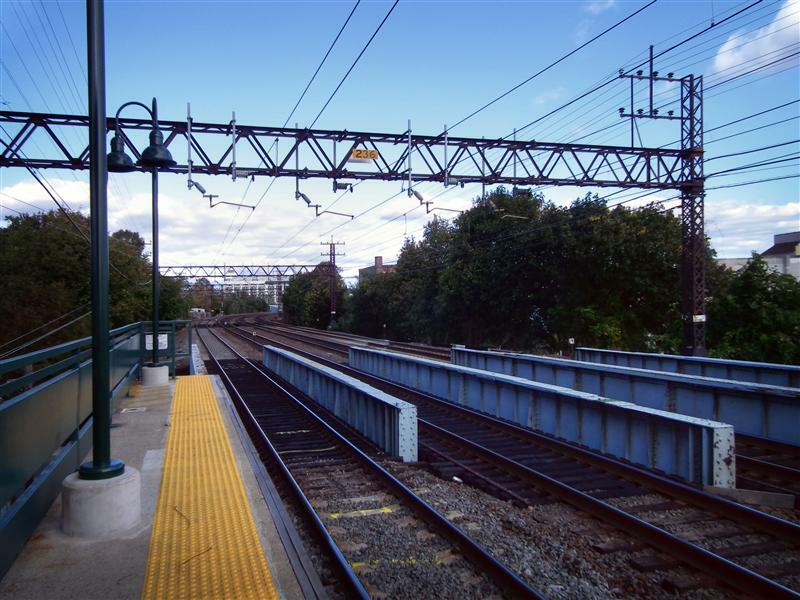 Today’s visit on the New Haven Line is to Port Chester, which I must admit, is one of my favorites along the line. 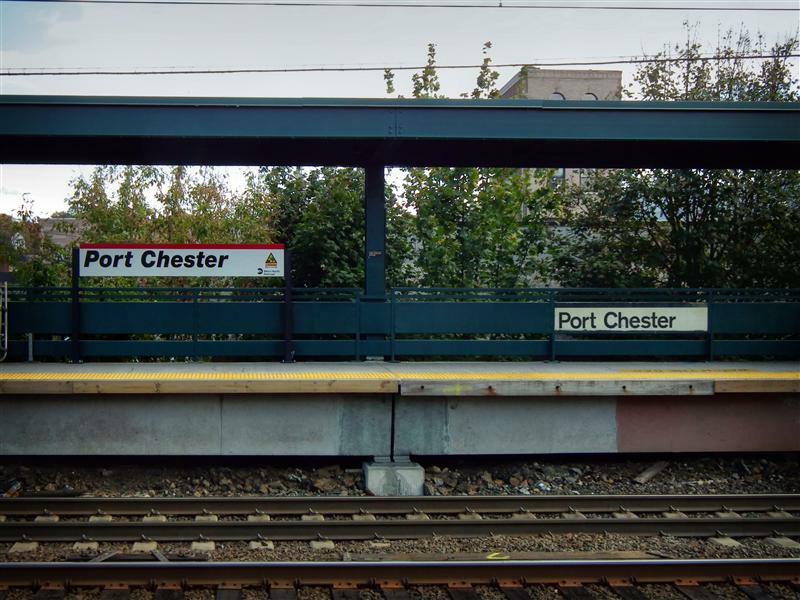 If one was to compile a list of the more noteworthy New Haven Line stations, Port Chester probably wouldn’t be on it… yet it would rank high on my list. 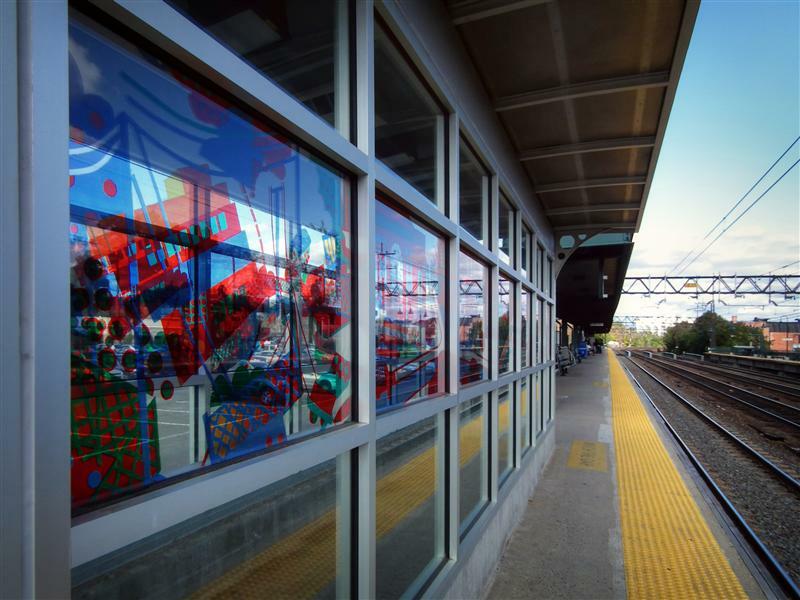 Not only did I love the historical station building, but I also loved the new art on the platform, courtesy of Arts for Transit. 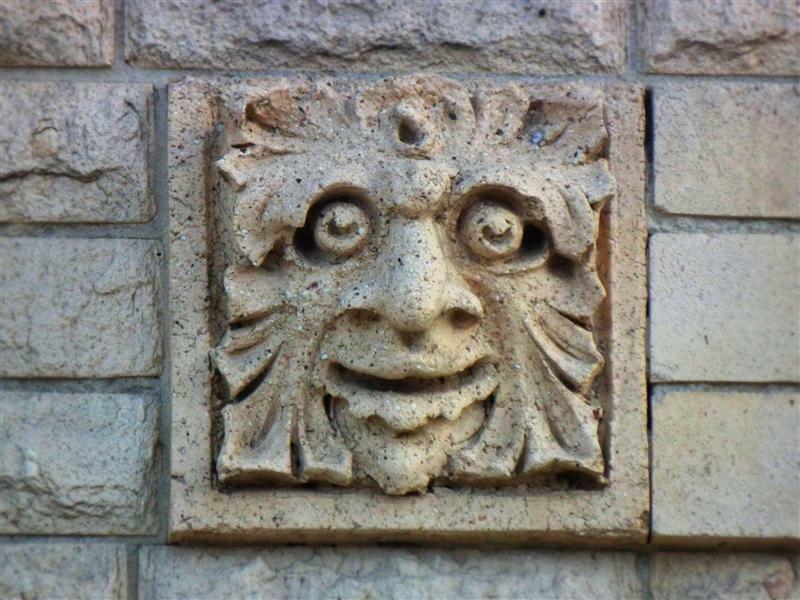 On the blog, I’ve already mentioned my love of the “leaf people” at Port Chester, what I suppose you would call a grotesque, or a figure carved into the side of the station building. 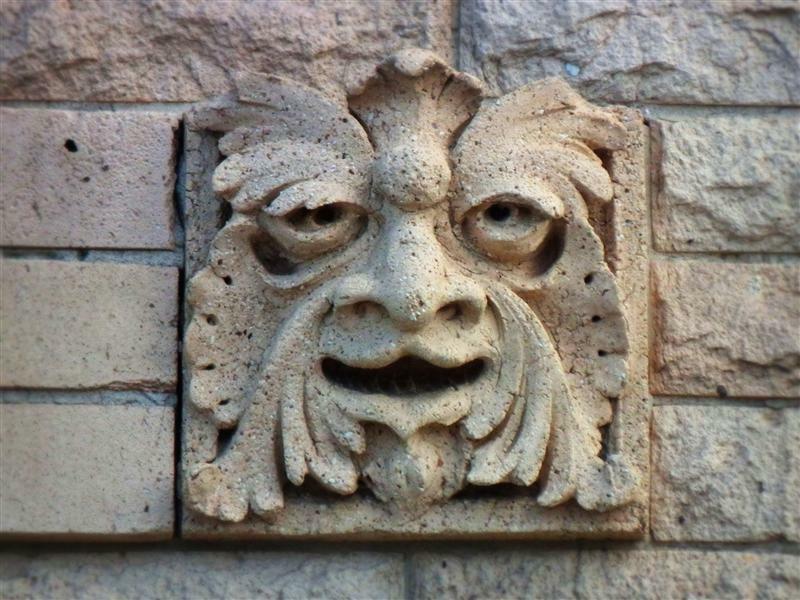 I can’t really think of too many other Metro-North stations that have similar carvings, so they are rather unique, and give a little bit of character to Port Chester. 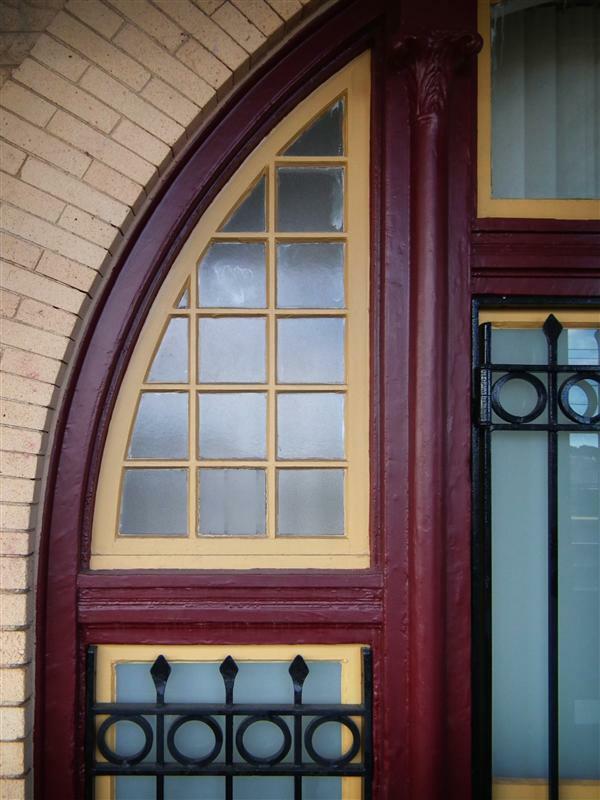 Port Chester itself is a village that is part of the town of Rye. 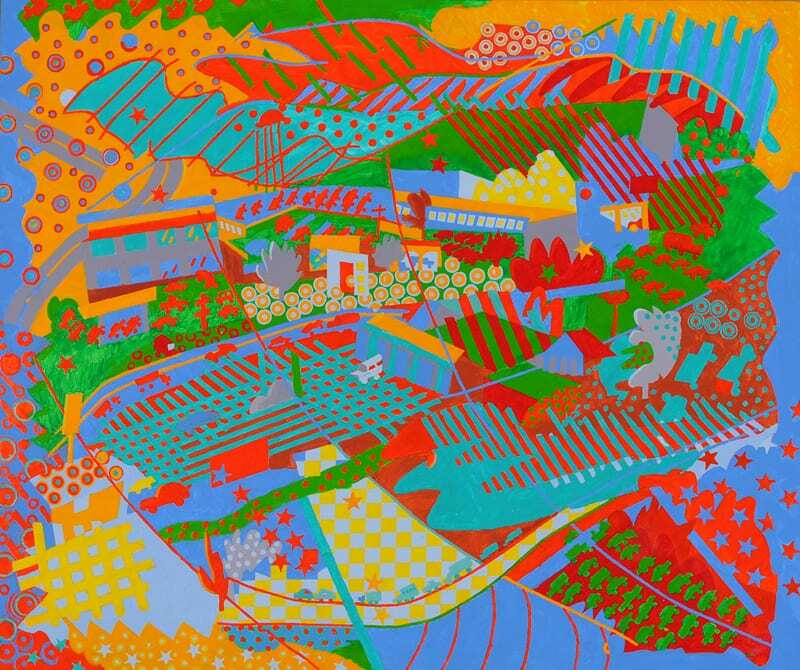 Historically, both Connecticut and New York claimed ownership of the land, though it was ultimately designated a part of New York, and of Westchester County. 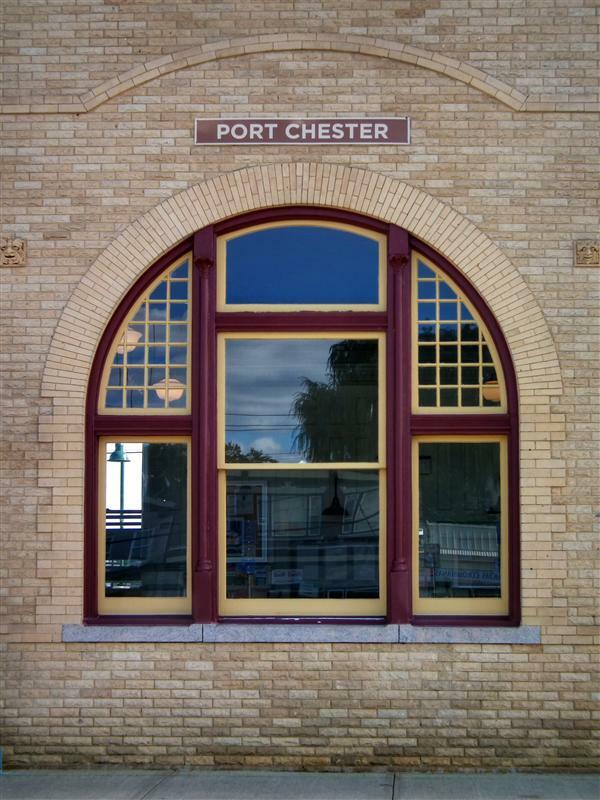 The Port Chester train station is the first station in New York, after crossing the border from Connecticut on a New York City-bound train. 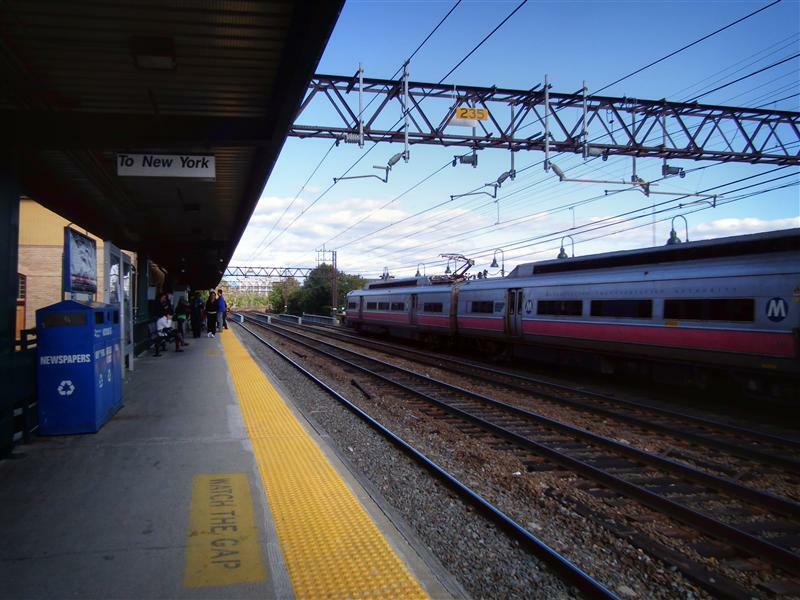 The station is slightly less than 26 miles from Grand Central, and trips range from 39 minutes to 56 minutes, depending on whether the train is an express during peak hour or not. As much as I love Arts for Transit, I think they have screwed up on the New Haven Line. 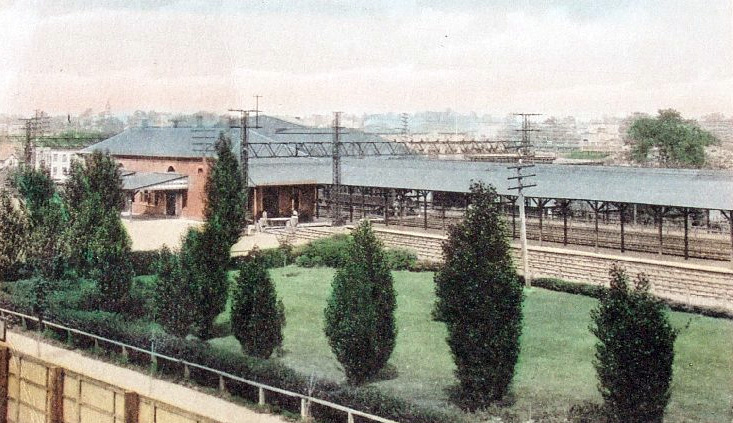 Much to the chagrin of railfans, station buildings are becoming obsolete. 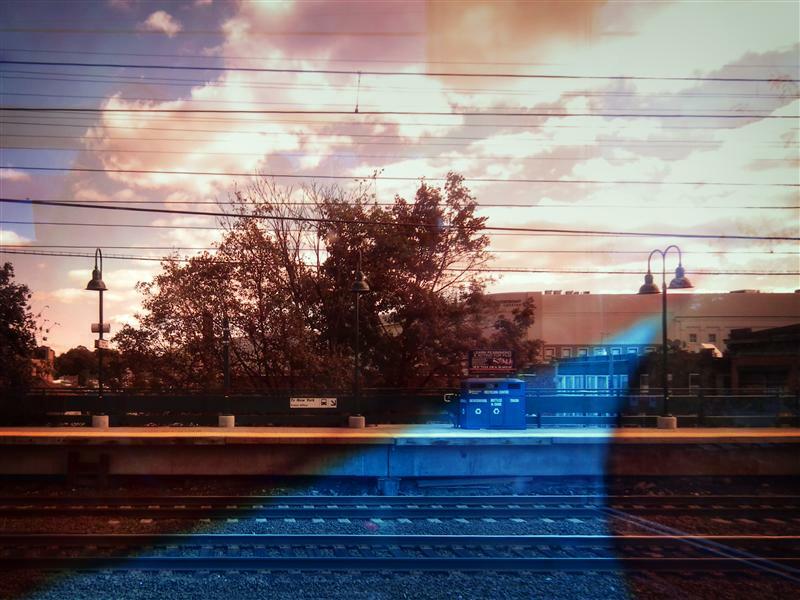 In order to save money, Metro-North has closed countless ticket windows on all of their lines. Ticket Vending Machines on platforms are the norm at most stations. 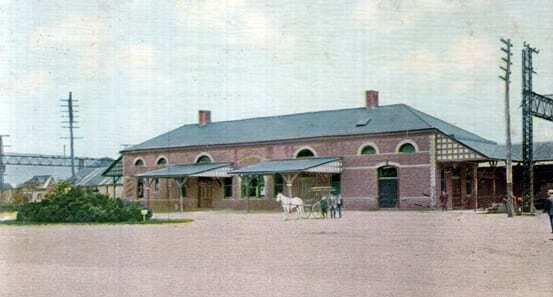 If a station happens to still have a building, it has likely been converted into a commercial space, or it serves as a waiting room during very minimal, select hours. 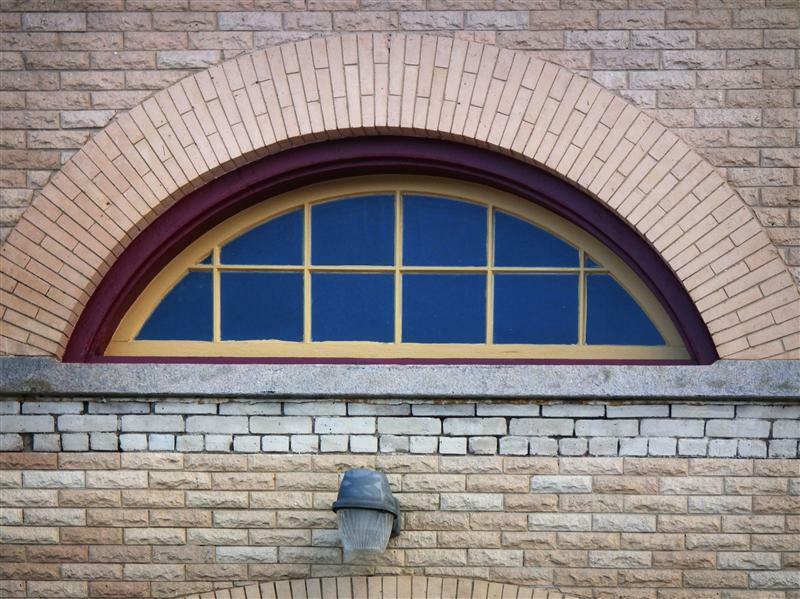 Knowing all these things, however, Arts for Transit has continued to place art inside these station buildings. I would have loved to take better photographs of the art at Larchmont, Harrison, and Rye, but alas, all three were locked. 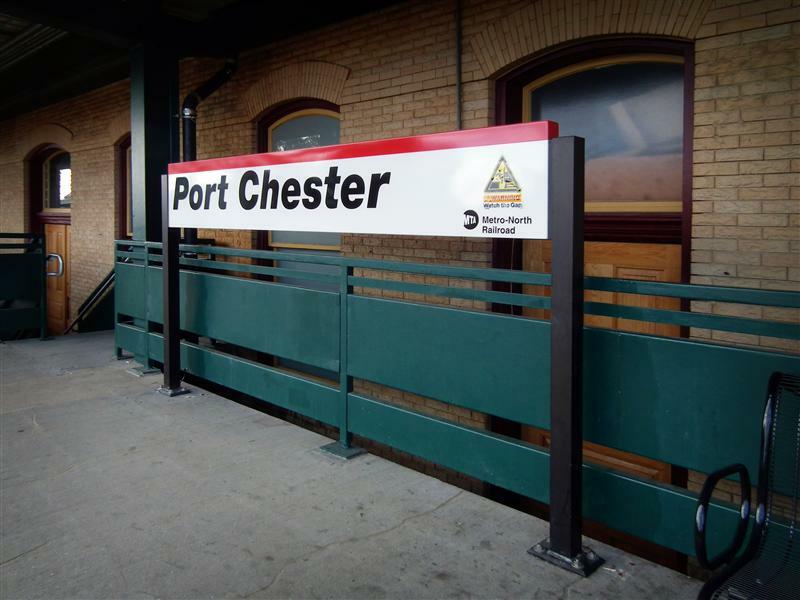 Thankfully, Arts for Transit has done well at Port Chester – which is one of the program’s newer pieces of work, installed just last year. 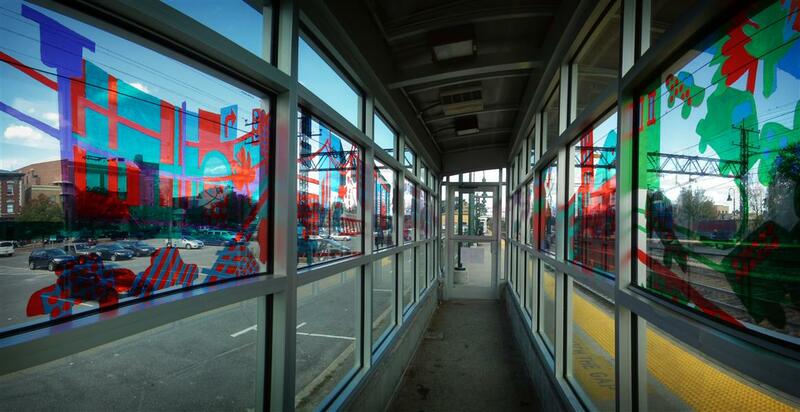 In fact, I think Port Chester is a perfect example of exactly how this program should function – good art, installed in the open, public space of the station, and visible to riders (as much as I love Mount Vernon East‘s, it is hard to see it from a train, and is sufficiently outside the station area that regular commuters could potentially never notice it). 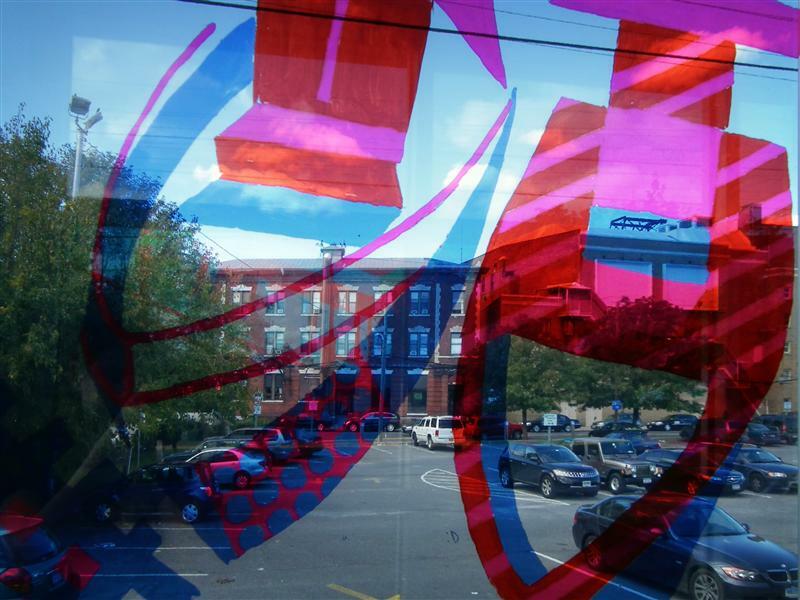 I’m also very pleased when the art featured is by a local artist. The artist behind the work at Port Chester is Bernard Greenwald – though born in New Jersey, he’s currently based in Red Hook, NY. 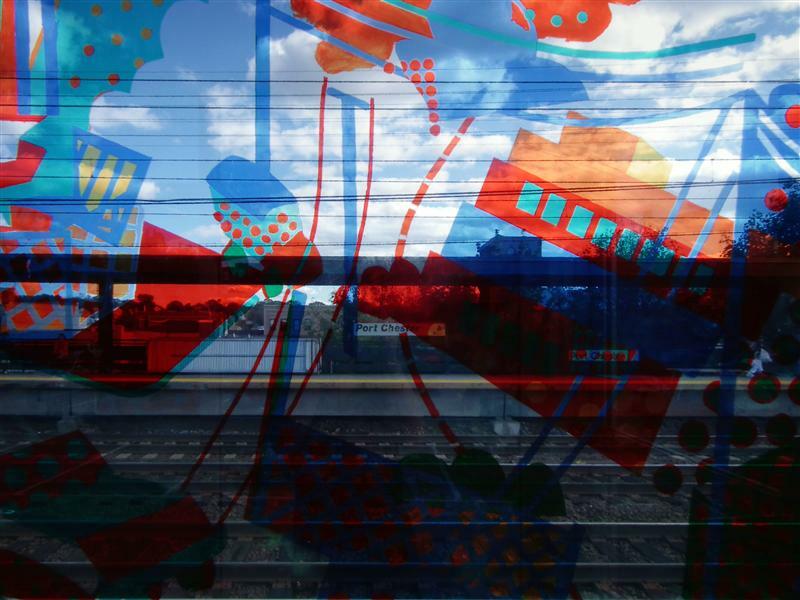 A friend of Greenwald’s suggested he submit his work for Arts for Transit’s call for artists for a piece at Port Chester station. Out of nearly 400 entrants, Greenwald was one of four finalists chosen to make a final proposal. 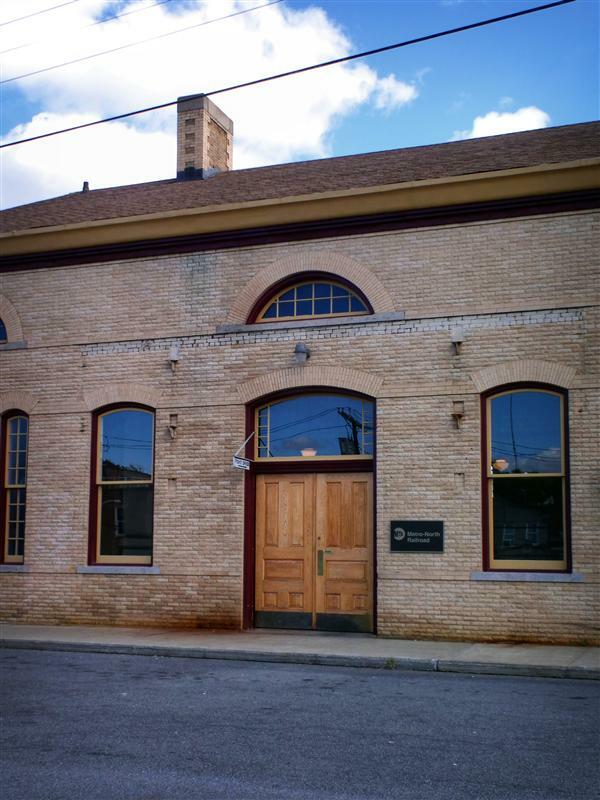 Ultimately his art was selected for the commission, and he created 40 paintings of the Port Chester area. 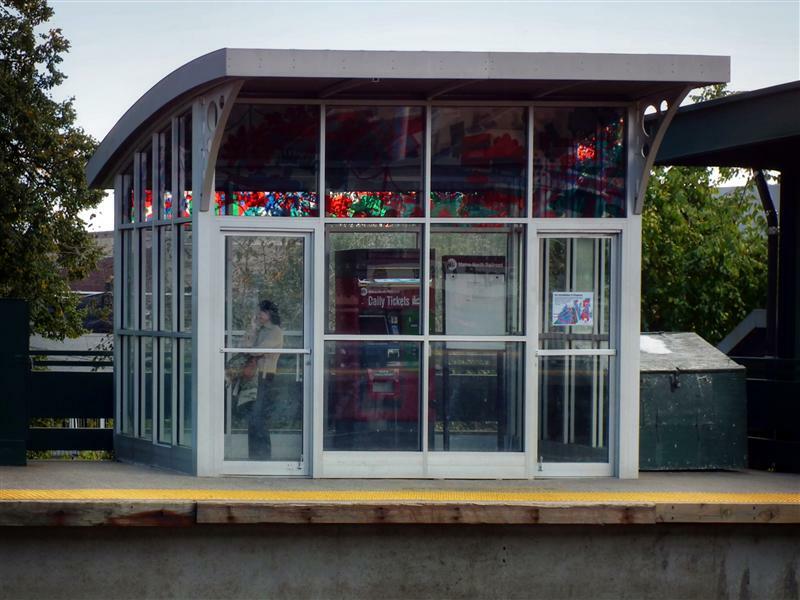 The designs from these paintings were then silk-screened between glass panels by a glass fabricator in Long Island, and installed in various shelters located on the platform at the station. 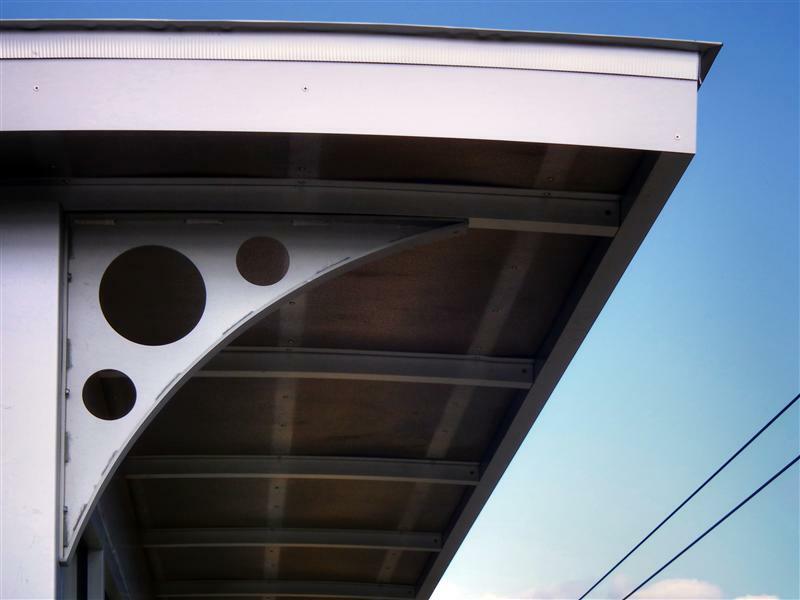 It is a lovely addition to a nice spot on the New Haven Line. Yay, a link back. I get a few visitors from your site now. Used to get a bunch from Wikipedia, until some contributor there flipped out that there were so many backlinks to “unofficial sites” (namely mine, and subwaynut) and edited every single Metro-North related page to remove any outside links. 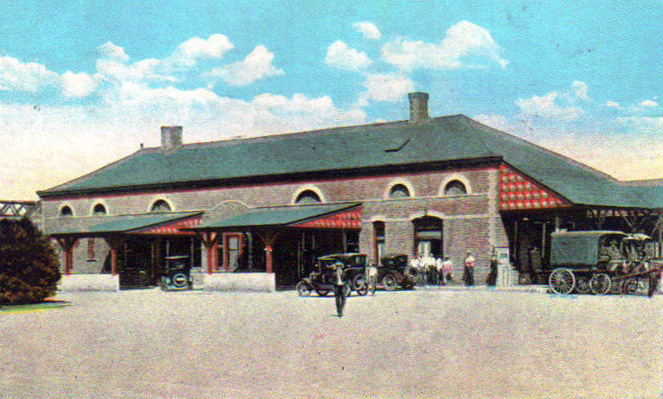 The postcard at the top was mailed 1910’s, the second in 1939. The other two I don’t have any dates for. 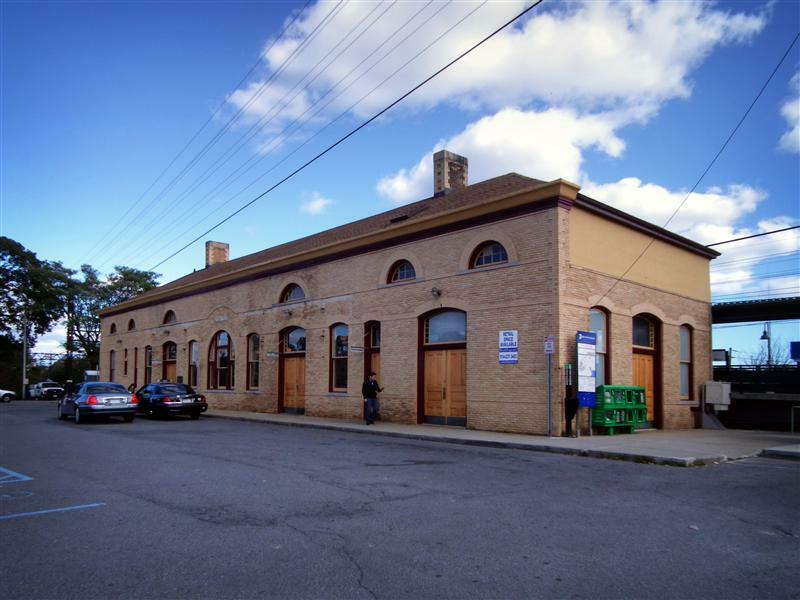 NYW&B did offer frieght service to Port Chester, as well as Mamaroneck, and others. 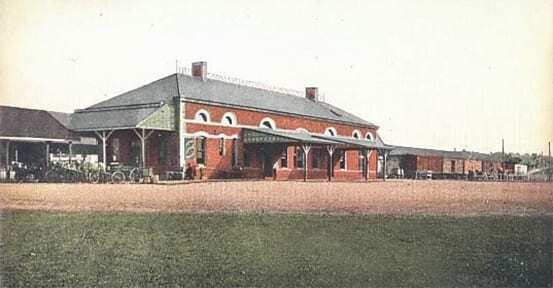 On the White Plains line, such freight service was offered at Mount Vernon (Columbus Ave.), Heathcote, and White Plains. 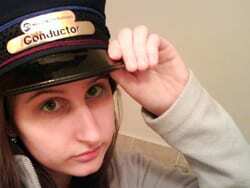 I believe the freight motor(s) was/were borrowed/leased from the New Haven and were used in dismantling of the line.